Wake up, y’all! Check out what’s brewing for your morning caffeine. 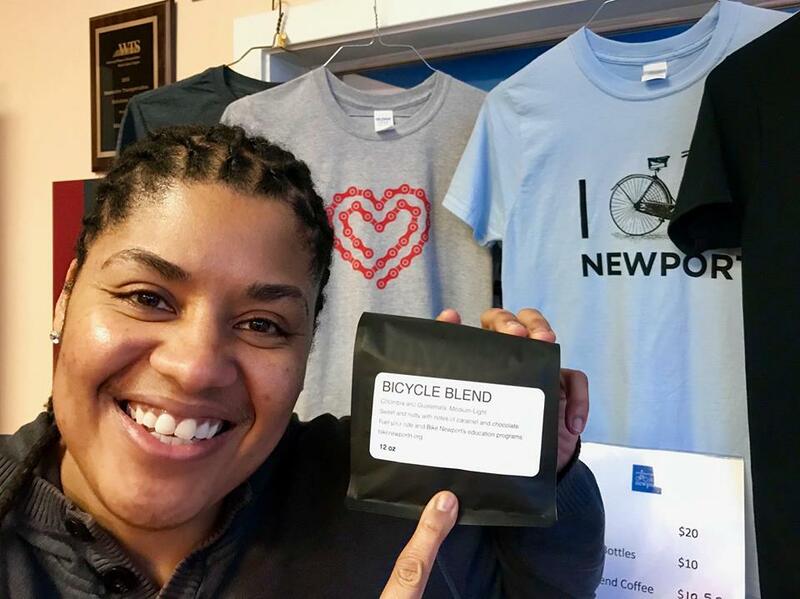 Bike Newport has teamed up with Empire Tea and Coffee to bring you – BICYCLE BLEND! Pick up your “medium-light, sweet and nutty with notes of caramel and chocolate” (YUM!) at Bike Newport or Empire AND enjoy it from your very own 16oz bike travel mug, together for $30. Every penny supports Bike Newport education programs – THANK YOU Empire Tea & Coffee!!! Come to our HQ at 62 Broadway or call/email/message in your pretty please promise and we’ll hold it for you till Friday. While Supplies Last. Oh one more thing, we’ll have an engraving pen on hand for personalization – so we don’t get them mixed up when EVERYONE has one. While you’re here pick up a bike love t-shirt too. NOW ONLY: $6 for 12oz or two for $10.